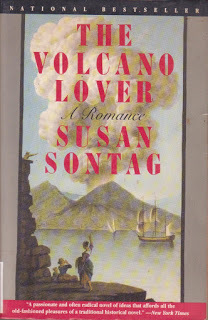 In The Volcano Lover, Susan Sontag writes beautifully about people she eventually condemns. Not that they have done anything wrong, they are 6he privileged aristrocracy of the late 18th century. They are absorbed by love, art and by their professional duties. They live beautiful, active, somewhat intelligent lives. Page after page, we live and grow with them. But then there's the world around them. It appears in the form of the distant and then not so distant French Revolution, which swells in the background trying to break into a story that is fundamentally intimate and personal. Or is it really? As our heroes leisurely love, celebrate and keep busy, drawing us into their own self absorbtion, thousands get killed and butchered because they dreamt a better world. A real nuisance if you ask our characters. Lord Hamilton is in love with a volcano but completely bypasses,as we do, the much more relevant, violent and deadly force of the political upheaval. 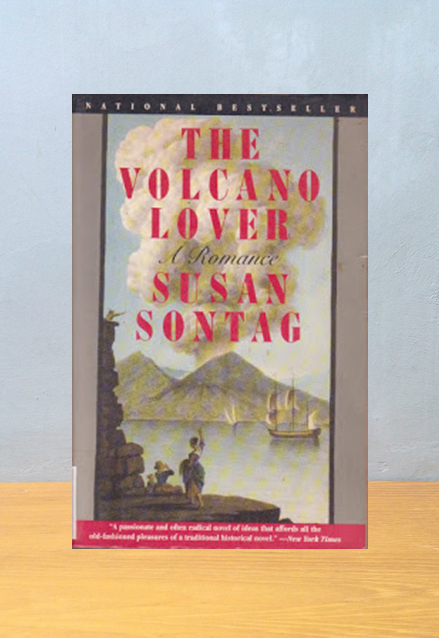 Susan Sontag's The Volcano Lover is ultimately a beautiful story of people who don't care. How normal they are. How they fool us into thinking them deep and interesting. So much that by the end of the book, the realization comes as a shock. They were vain, reactionary, at best irrelevant like Emma. They missed the point. A wonderful tour de force.